This memorial website was created to remember Mary Jane Lock who was born in Shelby County, IL on January 9, 1921 and passed away on June 9, 2008. She will live forever in our memories and hearts. 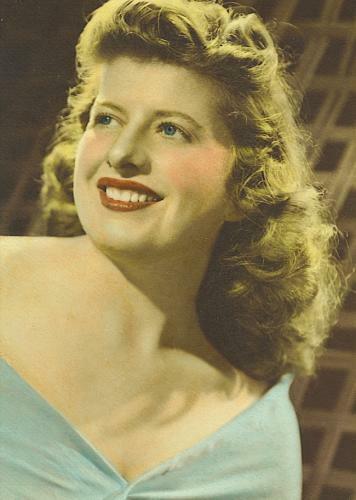 Mary Jane Lock, 87, of Peoria, formerly of Decatur, passed away at 11:25 p.m. on Monday, June 9, 2008, at home. Mary was born on January 9, 1921 in Shelby County, Illinois, daughter of Henry E. and Flossie (Young) Lock. Her parents and one brother, Harry E. Lock, preceded her in death. Mary earned her Bachelors Degree in Elementary Education from Illinois State University. She was a member of Beta Sigma Phi sorority. She taught school in Decatur for one year. She retired from Ameritech Telephone Company, after twenty-eight years of service, as a training supervisor in the commercial division. She was a member of the Telephone Pioneers of America. Mary Jane was of the Baptist Faith. She is survived by her niece, Nan (John) Day of Peoria and her nephew, Garry (Kathy) Lock of Edwards. Graveside services will be held at 1 p.m. on Saturday, June 14, 2008, at Graceland Cemetery in Decatur. Memorial contributions may be made to the Macon County Historical Society or to the Illinois State University Foundation. Clary Funeral Home in Peoria is assisting the family with arrangements. We didn't have the honor of knowing your Aunt Mary, but wanted to express our deepest sympathy to you and your families. We feel like we knew her thru both of you, plus all we went thru together with both of our families thru the years. Both of you are in our prayers for your loss.